Extreame Savings Item! 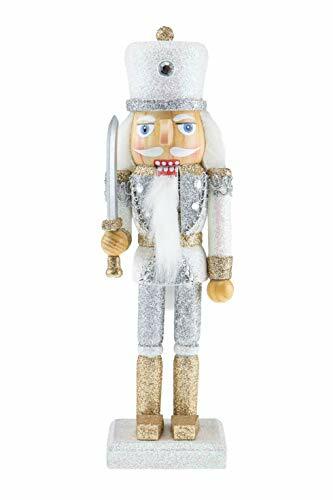 Save 44% on the Clever Creations Wooden Glittery Soldier Nutcracker | Gold and Silver Uniform Holding Sword | Great Traditional Festive Christmas Decor | Great for Any Holiday Collection | 10'' Perfect for Shelves by Clever Creations at My Athenas. MPN: 806810339176. Hurry! Limited time offer. Offer valid only while supplies last. PERFECT SIZE: This beautiful Christmas decor is the perfect size for any home. Measuring 10" x 2.25" x 2.75", this will fit perfectly on a wide variety of tables and shelves so you can decorate anywhere in your home!